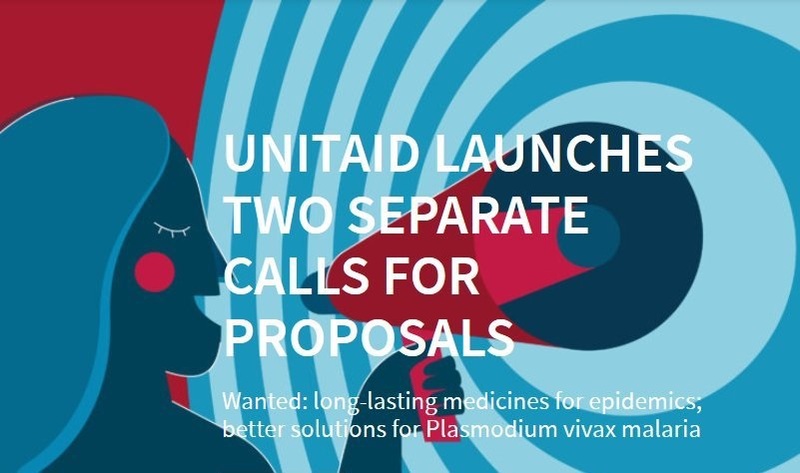 Unitaid has launched two separate calls for proposals for the development of improved technologies to better diagnose and treat Plasmodium vivax malaria, and to more effectively treat HIV and its coinfections, including tuberculosis and malaria, in low and middle-income countries. Unitaid is an international partnership hosted by the World Health Organization that “invests in innovations to prevent, diagnose and treat HIV/AIDS, tuberculosis and malaria more quickly, affordably and effectively,” according to its website. The organisation is funded by countries including France, Brazil and Norway, by the Bill and Melinda Gates Foundation, and by the innovative financing of a “solidarity levy” on airline tickets implemented by some countries. “At Unitaid, we recognize that great ideas matter only if they can make the jump from the drawing board to the real world. With our calls for proposals we find those ideas and help turn them into tangible innovations in global health,” the organisation said in a press release. These calls for proposals are “united by a common theme: developing better, more efficient treatments that will help bring about the end of global epidemics,” it said. Both calls for proposals are available here on the Unitaid website. Letters of inquiry are due by 4 March 2019, and proposals are due by 17 April 2019. “More than one-third of the world’s population – over 2.5 billion people – is at risk of Plasmodium vivax (P. vivax) malaria,” the call for proposals explains. Following infection by P. vivax, “parasites can lie dormant in a person’s liver, reawakening later to cause relapses of malaria.” These relapses, it says, are a leading cause of death and transmission of the disease. The current treatment for P. vivax is primaquine, consisting of a 14-day treatment regimen that often results in poor adherence. Moreover, primaquine can cause acute anemia in patients with a hereditary deficiency of the G6PD enzyme, which has hampered its widespread use. A further challenge is the treatment of P. vivax in children due to “the unavailability of quality-assured primaquine in paediatric strengths and dosage forms,” it says. However, new tools for treating P. vivax are becoming available. The most notable treatment is tafenoquine, which can treat P. vivax in a single dose. Tafenoquine, as with primaquine, can lead to acute anemia in patients with G6PD deficiency, so diagnostic testing will also need to be made available to determine eligibility for the drug, the call for proposals explains. “To support scale-up, a strong understanding will be needed of where tafenoquine can be used safely but still reach patients in need,” it says. Letters of inquiry are due by 4 March 2019, and proposals are due by 23 April 2019. “The objective of this call for proposals is to speed the development of existing medicines, into long-acting products, for treatment and prevention of diseases including HIV and its coinfections/comorbidities, tuberculosis (TB) and malaria,” the call for proposals states. While many safe and effective medicines are available to prevent and treat major diseases, their effectiveness depends on the completion of treatment. “Lack of adherence can worsen clinical outcomes, leading to increased mortality, persistent transmission and increased drug resistance in the case of antimicrobials and antivirals,” it says. However, Unitaid notes that the availability of these new technologies for LMICs often lags behind their availability in higher-income countries.